You'll be £4.99 closer to your next £10.00 credit when you purchase D-Day. What's this? This is a spectacular photographic record of the D-Day invasion that captures many different aspects of the air, sea and military campaign. A great majority of photographs are unlikely to have been seen by the general public and they have been superbly reproduced directly from original negatives held by national archives in Britain and the USA. Lengthy captions describe the action portrayed in each photo and an introduction puts D-Day into its historical perspective. The book follows the invasion as it develops and contains chapters on Preperation, The Landings, Establishing the Beachhead, Moving inland and Sustaining the Advance. A part of the Images of War series, this book displays a marvellous collection of photographs, mostly drawn from the archives of the Imperial War Museum. The majority have rarely been printed before, and each are presented in a large and clear format with detailed explanatory notes. Despite the seemingly limited title, the book encompasses the wider Normandy campaign, with chapters detailing the build-up to the invasion, the consolidation of the beachhead and the advance into France. 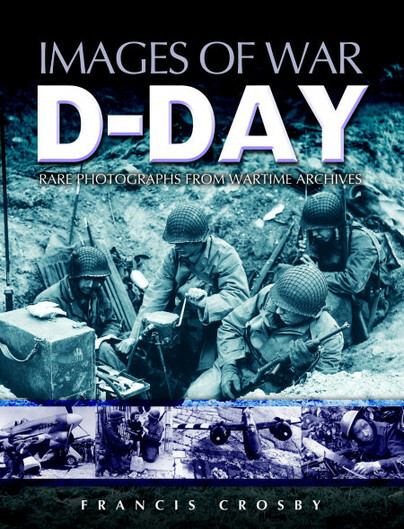 The photographs portray events from the Allied perspective with a balanced coverage of nationalities and the contributing arms; of infantry, tanks, shipping, and a number of quite dramatic images of bombing and low-level air attacks. Also included are a number of the much less lauded but essential factors, including supply, maintenance, the preparation of landing strips in the invasion area, and the evacuation of wounded by air.